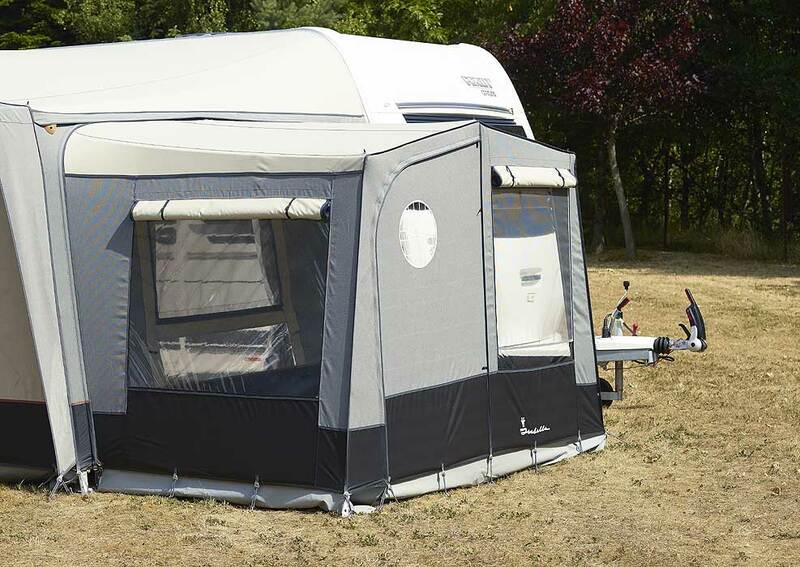 Designed and developed to be a highly practical awning for those who like to tour, the Ventura D300 has a easy, straightforward construction and uses materials that are easy to keep clean. 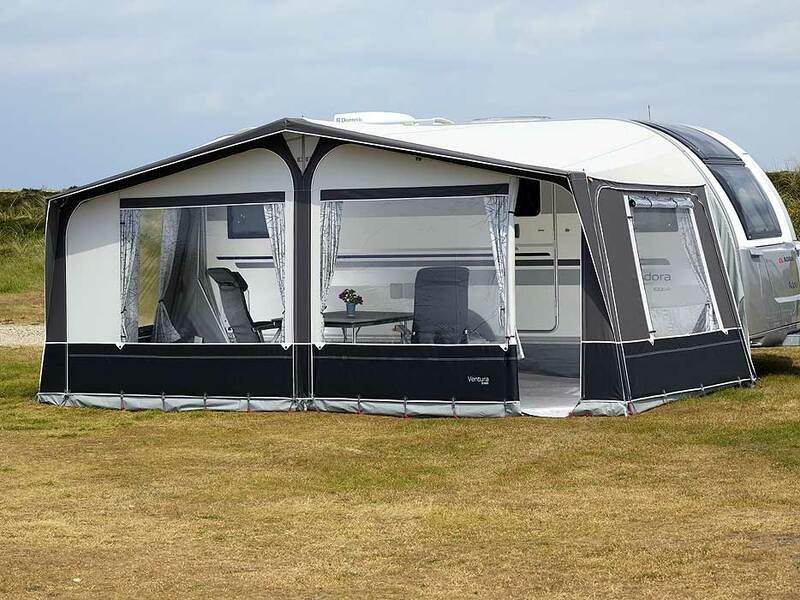 As well as a modern, clean-cut design and attractive colour use the awning is provided with a choice of two frame types. 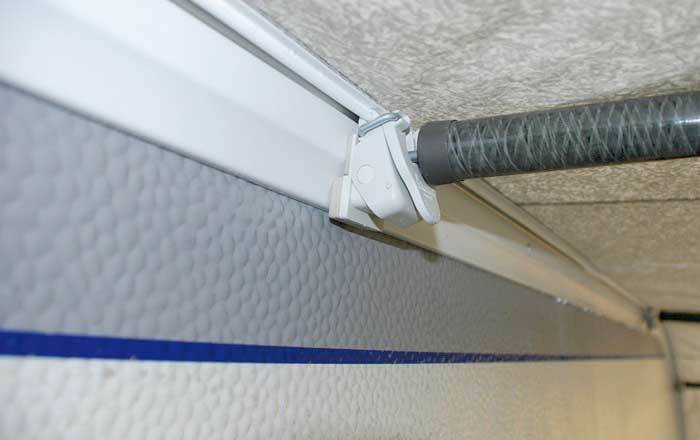 The awning wall material is a lightweight IsaLite fabric, that is easy to keep clean thanks to its external coating. The awning also has a window with mosquito net with foil cover in one side for extra ventilation. This is a nice touch as it makes the use of the window for ventilation purposes a viable option - keeping insects out whilst allow cooling air in and hopefully enabling you to relax. 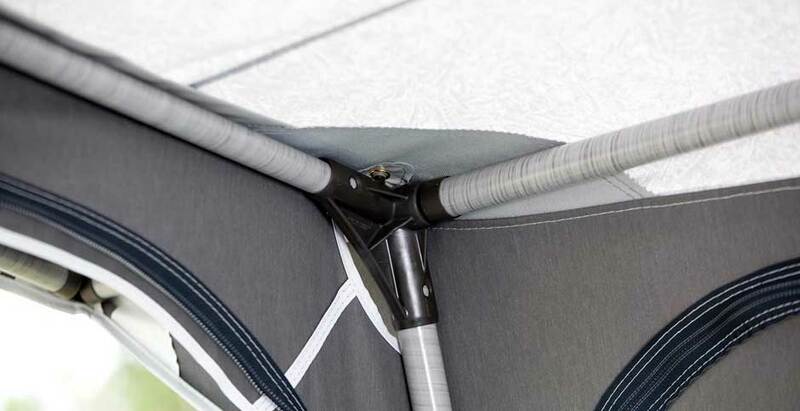 As mentioned previously, the main awning walls of the Ventura D300 use a material Isabella call IsaLite 195 g/m2. This is a astonishingly light and easy-to-maintain material that has an external coating, whilst the roof of the awning is made of a different material called IsaRoof Light 240 g/m2. This is a UV protective acrylate-coated polyester with an added top coat in 2 layers. When it comes to the awning frame, you have a choice of two. 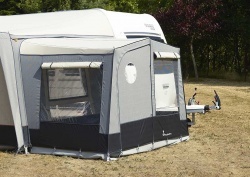 You can purchase the D250 awning with either Ventura's IXL fibreglass poles making the awning easy to put up. 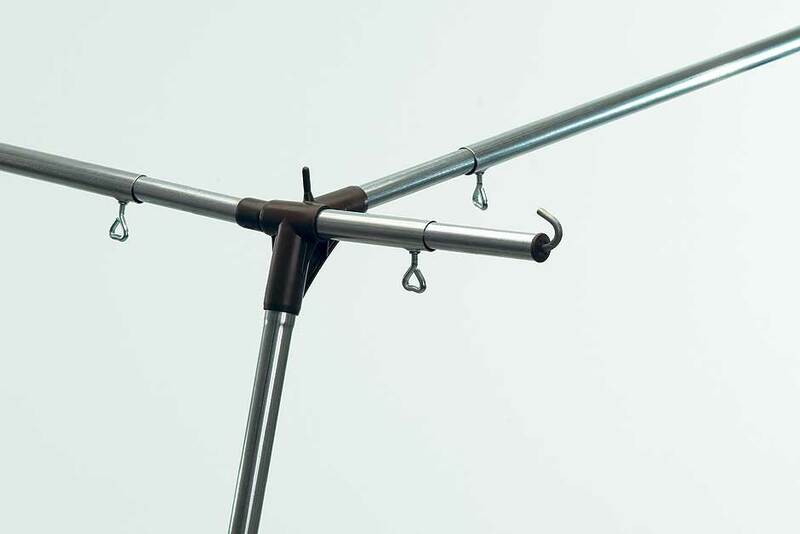 These lightweight poles reduce the weight that has to be carried around and transported and come with the Fixus locking mechanism. Alternatively, you can choose the Ventura Prenox poles that have an external zinc coating; these provide a strong steel awning frame. The Ventura D300 comes with a number of items as standard which include, Screw-free FixOn II fittings, Luxor Grey curtains, draught skirt, standard wheel arch cover, awning and pole bag, peg bag. If you wish to extend the Ventura D300 and give yourself extra space and versatility then it is possible to add an annex. The appropriate annex size is the 250 by Isabella. Supplied with screw-free FixOn II fittings. A Draught skirt is included. Pole and Peg Bag included. Main Material: IsaLite 195 g/m2 - a remarkably light and easy-to-maintain material that has an external coating. Roof Material: IsaRoof Light 240 g/m2 - an acrylate-coated polyester with an added top coat in 2 layers that gives UV protection. With all the inherent strength of steel poles, the Ventura Prenox poles also have an external zinc coating. This coating is 50% thicker than traditional surfaces ensuring the poles have greater durability and an extra long life. IXL poles combine the high flexibility of fibreglass with extremely strong carbon fibres. Carbon fibres are 4-5 times stronger than steel. IXL poles are significantly lighter and reduce the total weight of a set of awning poles. Fibreglass is a 'warm' material by comparison to steel and therefore causes less condensation. The fibreglass poles are also corrosion-resistant, easy to maintain and easily assembled.